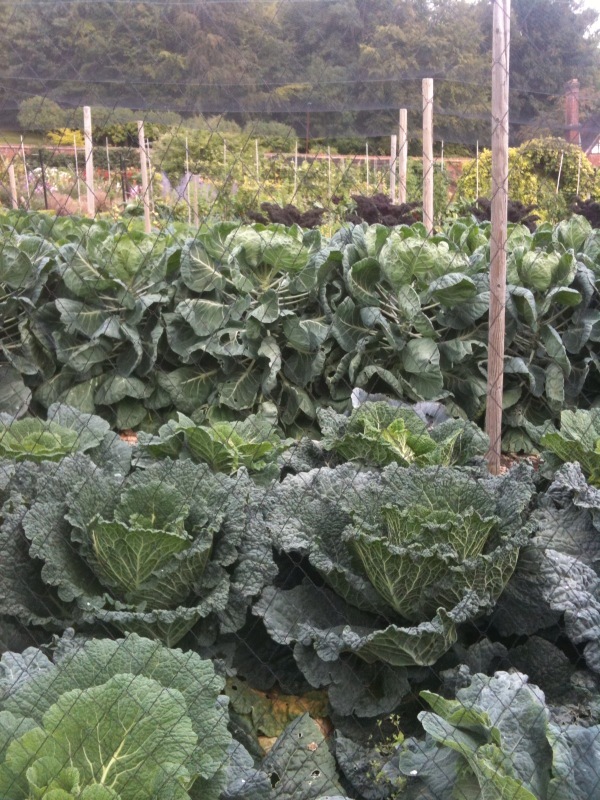 I took this photo yesterday at Titsey Place and Gardens (http://www.titsey.org/index_fs.htm) where I saw what is possibly the best walled vegetable garden ever! Titsey Place is situated just outside the village of Limpsfield between Westerham and Oxted. The house (which I didn’t visit this time) has its origins in the sixteenth century but the walled gardens were restored in 1996 to showcase Victorian techniques. I don’t know how authentically Victorian the garden is but it completely blew me away. At this time of year (late August) the garden is full of fruit, veg and perennials. I have no idea how large the walled garden is but it was huge (not very helpful I realise). It has a very formal structure, with paths bisecting bed after bed. Fruit trees and currants grow against the outside walls along with climbing and shrub roses. Height is provided by wigwams of sweet peas, an arbour of gourds and a great archway of runner beans and ipomea growing together (definitely something to try to grow at home on a more modest scale). It wasn’t just the size of vegetables that impressed – the range of fruit and veg grown is incredible. You name it, it was growing there. From celeriac and asparagus peas to Jerusalem artichokes and amaranth. And who knew there were so many different varieties of asparagus and gooseberry? I could whitter on and on but I’m really not doing the place justice with my description. Suffice to say it’s definitely worth a visit. Thanks to my friend Yvonne for telling me about it – I can’t believe I’ve never been before!